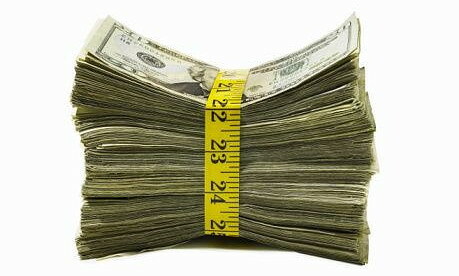 engineering, money has its limitations. This lesson is perhaps lost even on the great team of Mercedes. Last year they hired away Lewis Hamilton who many said manifested disloyalty to Mclaren in his leaving the team. But in truth there was much baggage associated with his tenure there even though he won a championship. But at least in his mind the money, freedom and a fresh start warranted the switch. But what has it done for Mercedes? Does Mercedes still have a chance to win the championship this year? This would seem a stretch. There is no question they have capable drivers now. 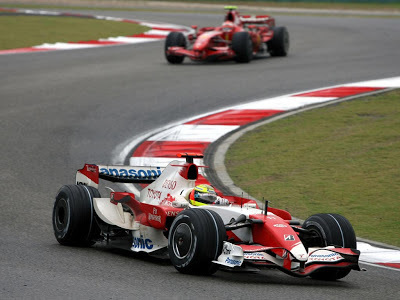 Rosberg has real skills and Hamilton is anything but Ralf Schumacher! Hami knows how to drive the wheels off the car. That is actually part of the problem for the Mercedes team. The wheels ie the tires don’t last for them. Debate as we could about Pirelli’s roll in this, it doesn’t change the fact that for instance, the Lotus team can milk the tires along AND win. They do so with a much lower budget than Mercedes and is in fact rumored to be struggling for dollars. It seems that the Mercedes car is relying too much on the tires for grip and is unable to exploit the proper suspension/aero relationship in a way that would allow for a sustainably competitive race pace. 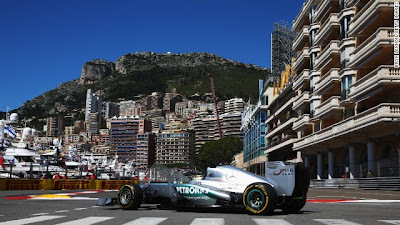 Now the naysayers to this obvious fact would love to site the recent win at Monaco. But the truth is that this is about the slowest circuit on the calendar and least abusive to the tires. Lots of shifting oh yeah but not much in the way of real g-force loading laterally on the rubber. It is in those situations where the Mercedes has historically fallen flat, after what usually is a great qualifying. And why not since qualifying is a quick, short load on the tires and then you are done. Yes done. Done is the enthusiasm of the Hamilton, Rosberg, Mercedes fans as they watch their guys get passed a third into the race if not sooner. 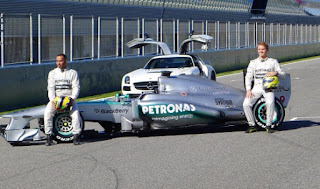 All this even though the Mercedes team had access to this much talked about secret tire testing time! Now these facts should actually be sort of refreshing to us race fans. Why can this be said? Because it means that the engineers and other critical people from say Red Bull, Lotus, Ferrari, etc. can’t so easily be lured away from those teams to the dollar dangling eight hundred pound financial gorillas like Toyota was or perhaps Mercedes is. That means that even in this jaded sport there can be a real sense of team cohesiveness. So while Audi and in other years Porsche in sports car and Citroen and Peugeot in rally can almost will the winning of championships, that is not so easily done in Formula 1.